VGI Consulting is the leading South African consulting engineering firm in multiproduct petrochemical overland distribution pipelines. VGI specialises in the engineering, construction and project management of multidisciplinary transmission and distribution pipelines, as well as other civil, mechanical, geotechnical, and structural engineering projects. Fields of expertise include high-pressure hydrocarbon overland pipelines, petrochemical bulk storage facilities and firewater systems. 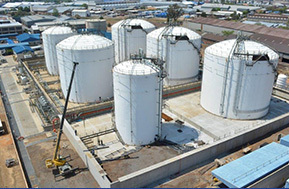 With over 45 years of experience in the pipeline engineering industry, VGI Consulting is one of the leading consulting engineering firms in Southern Africa. Our in-house capabilities include civil, mechanical, geotechnical and structural engineering. Our staff has further extensive experience in project and construction management, as well as procurement for and on behalf of our clients. Together with a team of specialist partners, we have completed numerous high-pressure steel pipelines in Southern Africa, most notably in South Africa and Mozambique. 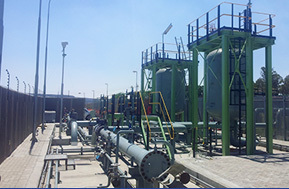 Notable clients include Sasol, Sasol Technology, Sasol Gas, Transnet, Siemens, Airports Company South Africa, Matola Gas Company and Wartsila. Apart from specialist engineering services, VGI also offers our clients outstanding management and procurement services. 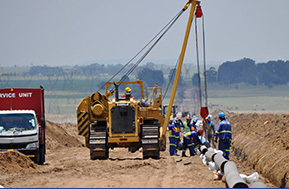 VGI has completed numerous high-pressure, overland steel pipelines for a variety of clients in Southern Africa. Stay tuned for the latest news on pipelines, gas and engineering in South Africa. As an extension of our services, VGI takes care of procurement for - and on behalf of - our clients, to ensure high quality, durable end-products. Our Project and Construction Managers have extensive knowledge and experience with the most popular form of contracts for example NEC, FIDIC etc.